If you live in or have ever lived in Manitoba, then you know that summers here are both a blessing and a curse: it's frequently GORGEOUS out, with long, sunny days and warm evenings. It's also frequently bug season: flies, mosquitoes, ticks. 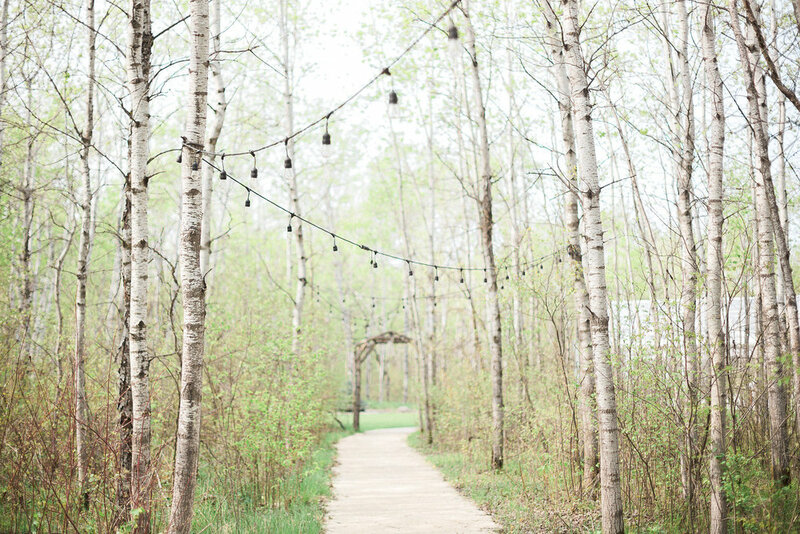 So when it comes to planning an outdoor wedding in Manitoba, we frequently choose a completely outdoor ceremony with an indoor or partially indoor reception. 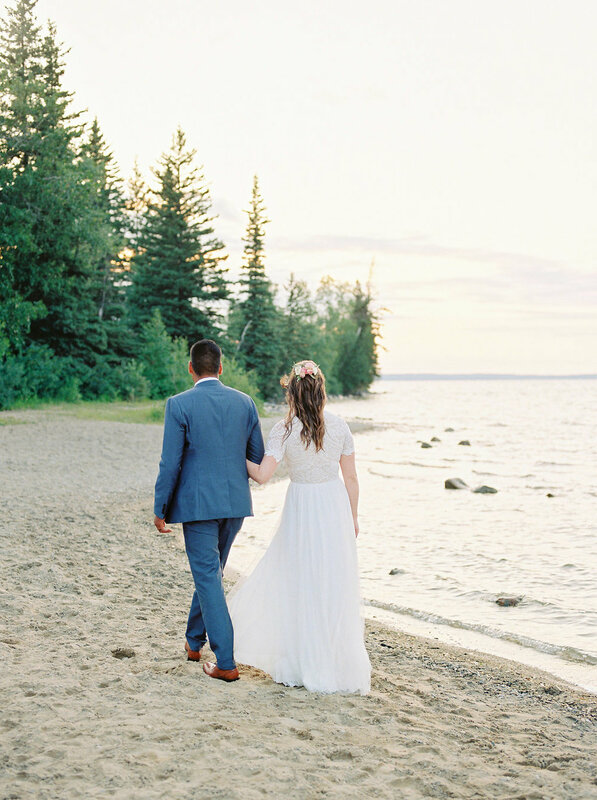 So, here's my list of the best wedding locations in Manitoba, which all combine the outdoors with the in! This one should come as no surprise to you. 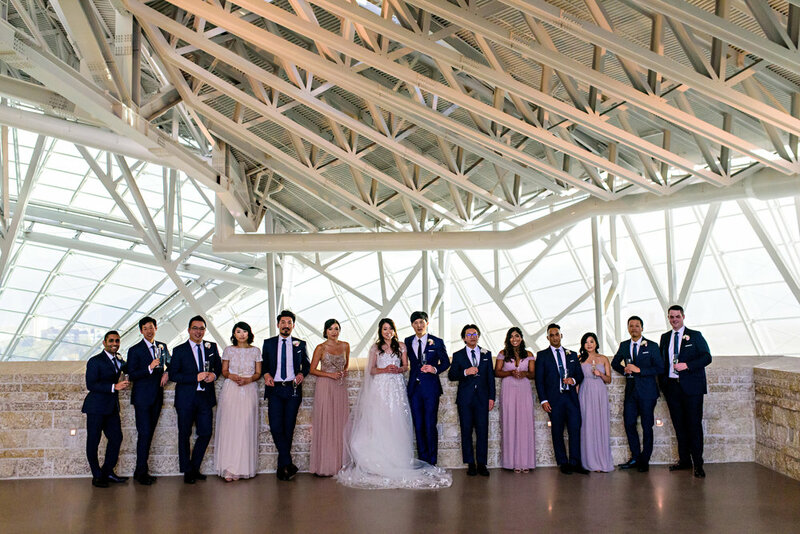 I work at Cielo's Garden all the time, and it's definitely one of my favourite places for a wedding. The little stone chapel in the woods is remarkably romantic, and the clear top tent itself is a blank canvas that you can do so much with. 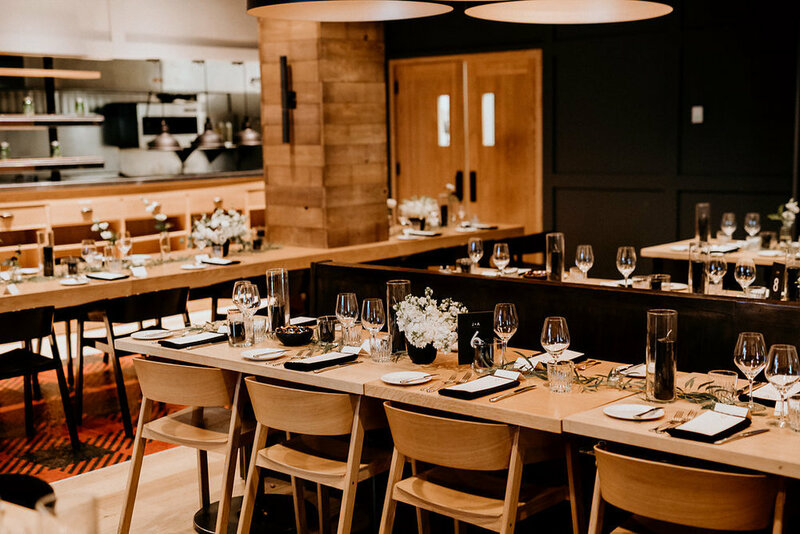 Whitetail Meadow is a new venue just outside of Niverville that is going to top everyone's lists very quickly. I recently designed all the florals for their grand opening/open house and couldn't believe what a great job they did! 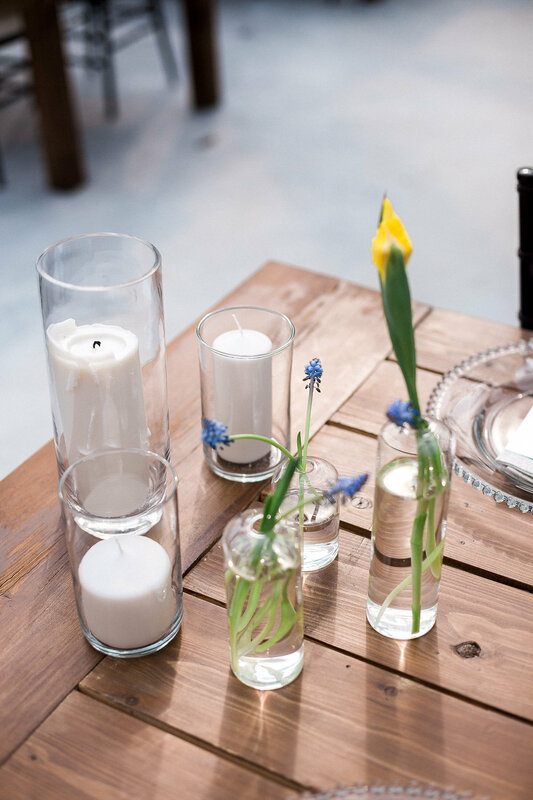 The venue is a converted barn, which has been completely re-built on the interior. 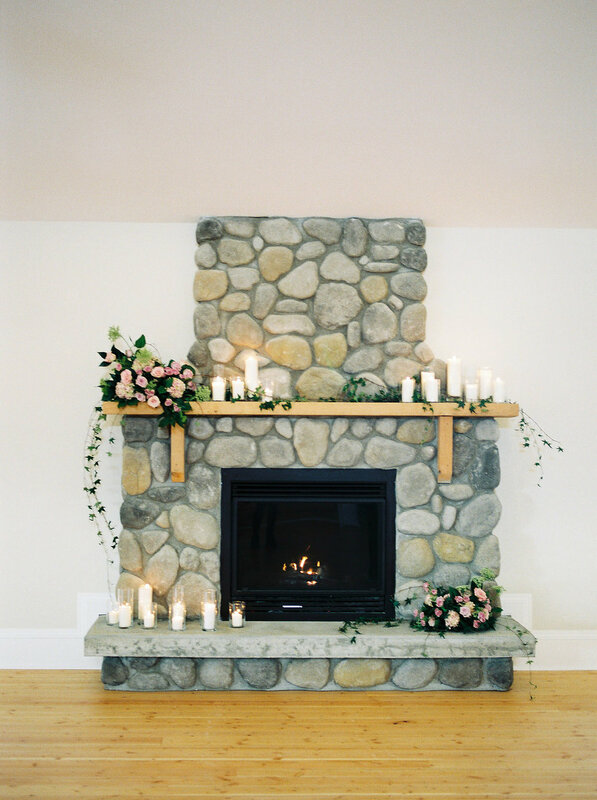 It features a gorgeous stone fireplace (which would be the perfect backdrop for a winter wedding ceremony and also is the dream place to put flowers! ), a sweet loft space, and at least 3 different outdoor spaces where you could host a wedding ceremony, depending on what type of vibe you'd like: forest setting, the veranda with the stone fireplace in the background, or the grassy meadow with a creek in the background! I can't wait to share more with you from this open house soon - the photos are gorgeous! After a tragic fire in December 2016, Hawthorn Estates is re-building and is soon to be better than ever. I seriously CANNOT WAIT for the grand unveiling of the all-new barn venue just about 25 minutes north east of Winnipeg. This rendering of the new exterior shows you some of the focal points: a gorgeous green space (including a lovely area for wedding ceremonies), and tons of windows. Indoors, they're planning for rough-hewn timbers from BC and a large fireplace. Stay up to date with their re-build progress on their Instagram! I drove past it just before Christmas and it was looking incredible. They're now booking for 2018 and 2019 weddings. I've only been up to Clear Lake once, and it was this past summer for a wedding that was awesome. The ceremony was outdoors, at Elkhorn Manor (just off the golf course) and then the reception was right in the downtown of the Clear Lake village at Dance Land. Truth be told, the directions to get the Elkhorn Manor were a little confusing, but the location was wonderful for a ceremony: it was peaceful, quiet, overlooking the water in the background with lush green grounds all around. Dance Land is just a couple of minutes away. It's a really neat wood building (unfortunately, pretty much no natural light) with a cool history. See more from that summer wedding here! Pineridge Hollow has to be included on this list! 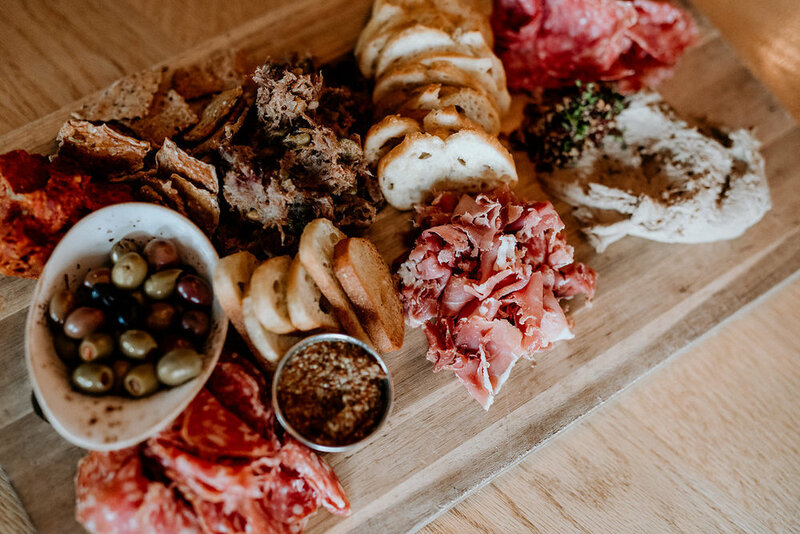 It's highly recommended, features an incredible menu, and has plenty of charm wrapped up into this simple tent venue in the heart of Birds Hill Park. Pineridge Hollow offers several different outdoor ceremony locations (including this clearing in the woods, as seen below), and the seating in the tent can be configured in several different ways for your reception, with your choice of long rectangular tables or round tables. 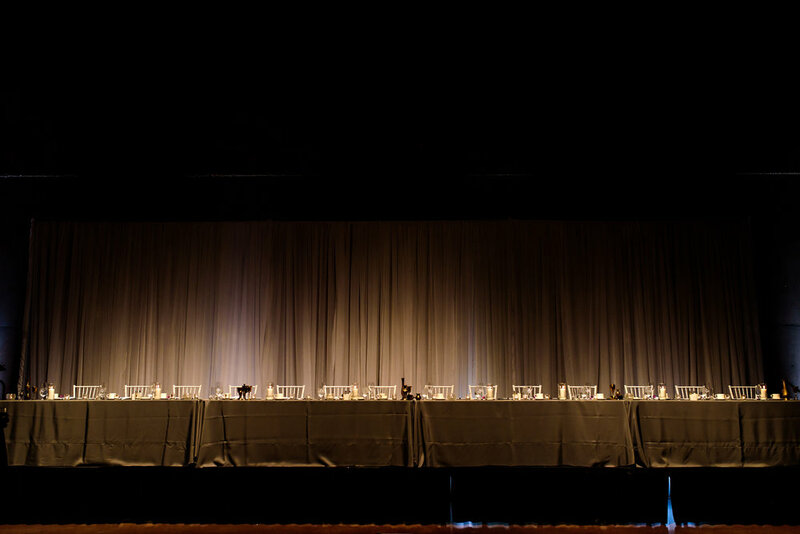 They also offer a great selection of decor rentals - cute candle holders, table numbers, backdrops or seating charts, and so on. 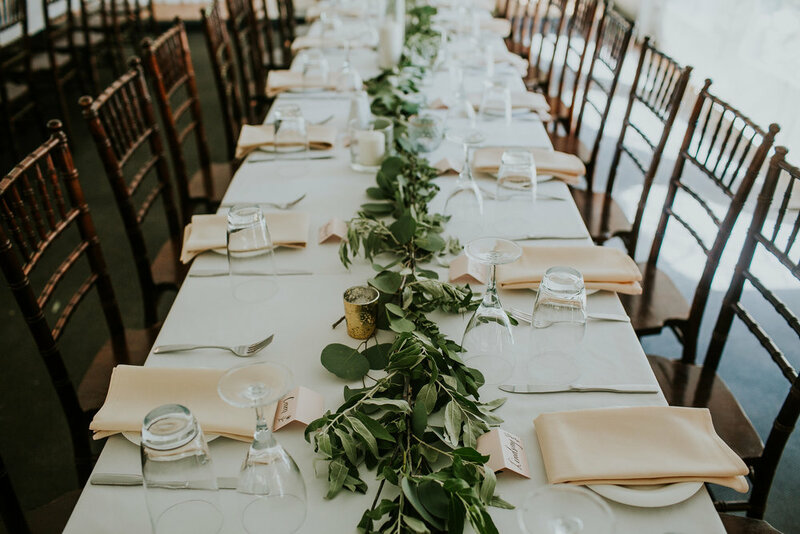 I've loved being able to personalize the decor at Pineridge Hollow - one of my favourites featured a greenery installation hanging above the guests from the tent ceiling. 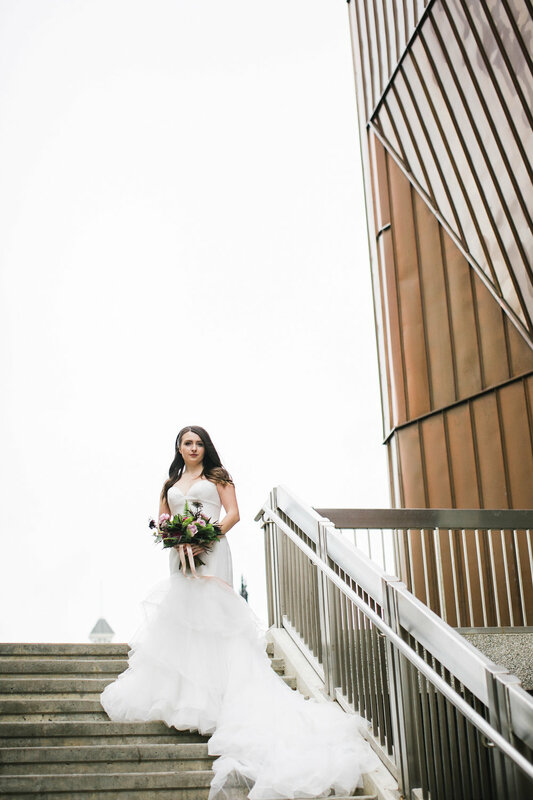 Hire a talented wedding floral and event designer for your wedding in Winnipeg. 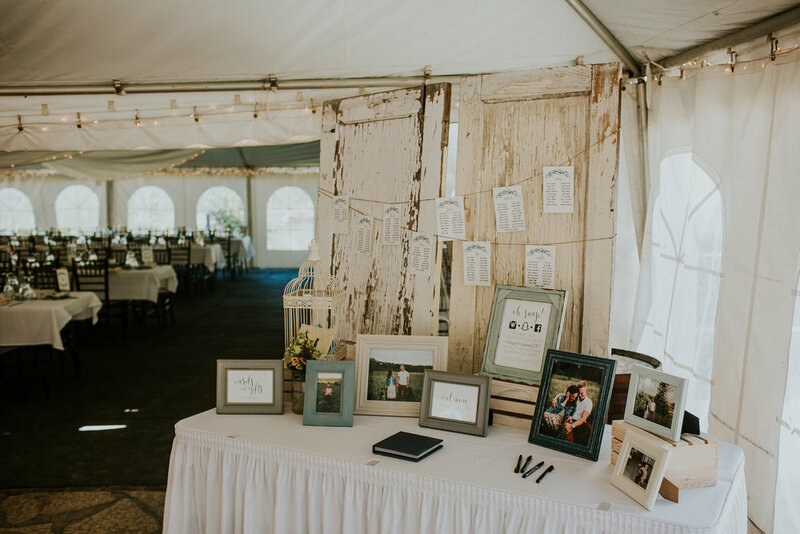 Along with designing florals, Stone House Creative also offers full event design to a limited number of wedding clients each year. 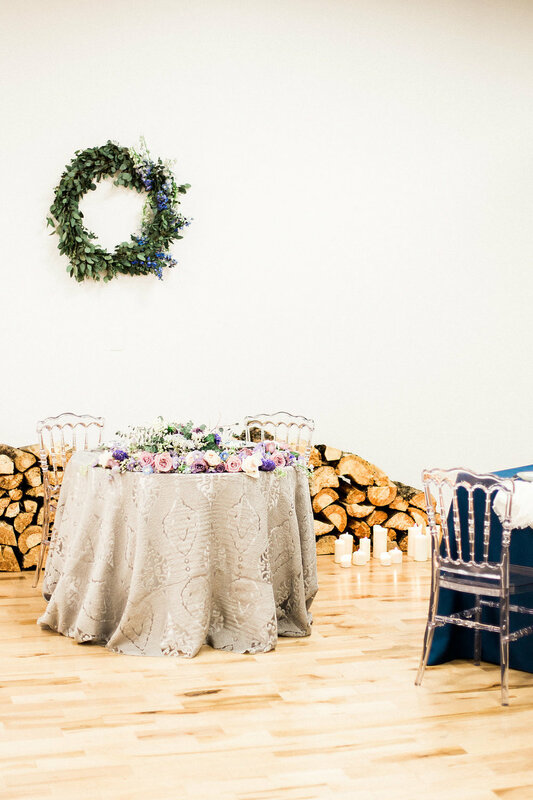 If you want your wedding to really look and feel like you while creating a unique ambiance unlike what your friends have had at their weddings, then reach out to me today!